You can submit your remix by sending a link to [email protected] (PLEASE ONLY SEND A LINK DO NOT ATTACH THE FILE TO THE EMAIL) Submission deadline is 8th June 2015 any remixes submitted after that date will not be entered. 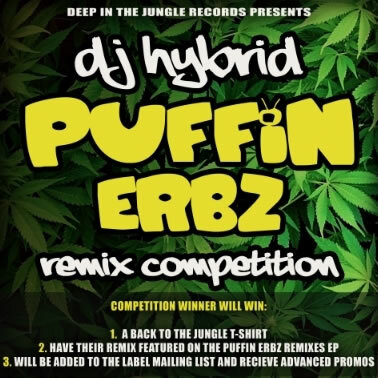 The winner of the competition will have their remix featured on the Puffin Erbz Remixes EP which will be released on Deep In The Jungle Records this summer. The winner will also win a Back to the Jungle T-Shirt and will be added to the label mailing list to receive advanced promos of future releases. 2. Remixes can not be uploaded online anywhere to stream or download. 3. All remixes submitted will become property of the Deep In The Jungle Records. 4. All remixes must be submitted by 11:59pm on the 8th June 2015.